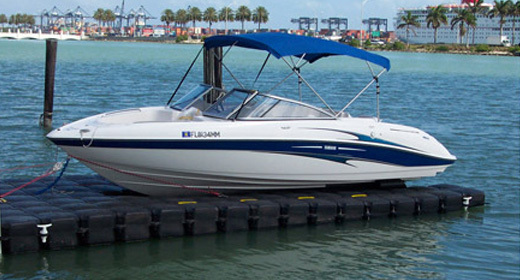 Become a JetDock dealer and sell the best floating boat lifts around! For more information and to apply, please fill out the form below. If you have questions call us at 1-800-538-3625. We're glad that you are interested in selling the best boat lifts and floating docks by becoming a JetDock dealer! As you fill out the form below, please note that all fields are required unless otherwise stated. All such disclosures (whether oral, written or otherwise) made by JDSI are deemed to be confidential and secret. JDSI's file memoranda or notes, whether made during or after conversations, shall be conclusive evidence of the information disclosed to you and its confidentiality. All Proprietary Information disclosed to you is for your evaluation purposes only. You agree not to make, directly or indirectly, any commercial or other use of such Proprietary Information without JDSI's prior, express, written permission. You agree to take such precautions as may be necessary to prevent the disclosure of any such Proprietary Information to others. You recognize that JDSI owns all of the rights with respect to all of the Proprietary Information disclosed to you. No right, express or implied, is conveyed to you by the disclosures made by JDSI to you. You agree not to make any copies of any of the Proprietary Information without JDSI's prior, express, written permission. You agree that you shall not, directly or indirectly, (i) in any state in which JDSI engages in business from time to time, either as a principal, agent, employee, officer, director, investor, advisor or otherwise, engage in or have a financial interest in or be in any way connected or affiliated with any person or entity which is involved in the manufacture, sale, distribution, and/or installation of drive-on floating dock systems, for a period of two (2) years from the date hereof, and/or (ii) divert, solicit, contact or attempt to divert, solicit or contact any supplier, distributor, customer, agent or employee of JDSI and you shall not induce or attempt to induce any such person or entity to transfer his, her or its business from JDSI or to terminate his, her or its relationship with JDSI. You acknowledge and agree that JDSI's remedies at law for your breach of any of the obligations set forth herein will be inadequate, and you agree that JDSI will be entitled to equitable relief (including, without limitation, injunctive relief and specific performance) in addition to and other remedies available to JDSI in the event of such breach. I accept the confidentiality agreement.